It's that time of the year again where Steemians gather from all around the world to connect and exchange about the world of cryptocurrencies: IT'S STEEMFEST 3! 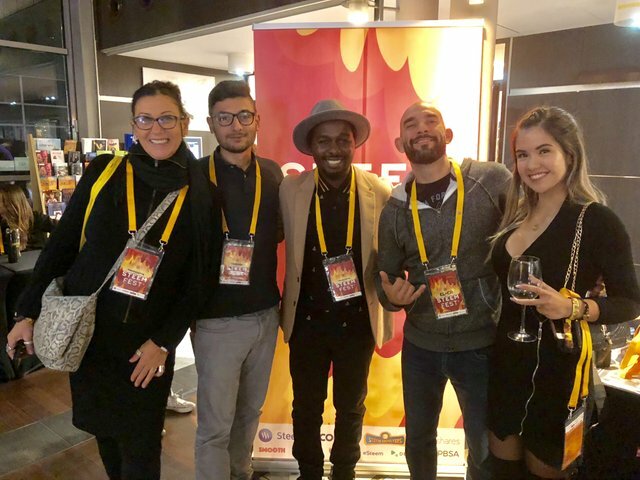 Every year, SteemFest is an amazing event that brings this unique community together, connects people from opposite ends of the world and educates about Blockchain and the STEEM Ecosystem. After Amsterdam in 2016 and Lisbon in 2017, this year's Steemfest is being held in Krakow, Poland. 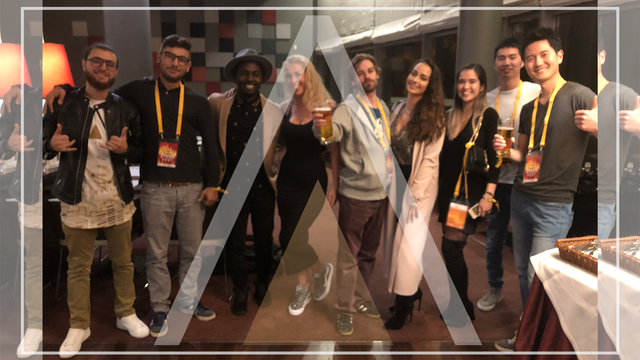 APPICS has actually been present at all 3 Steemfest events - and now we are so excited to be back, reconnect with lots of familiar faces and update our fellow Steemians about our progress with APPICS! Watch our short video clip about Team APPICS at the opening drinks below on DTube! November 7 was officially the first day of SteemFest where most of the attendees arrived in Krakow. After registering at Hotel Qubus (Thanks to the @firepower @wandereronwheels crew, and of course massive thank you to @roelandp for the amazing organisation as always!) the first night started with some 'Opening Drinks'. The Lobby of Hotel Qubus was filled with Steemians - familiar and new faces - and we had an amazing time (re-)connecting and chatting about blockchain. Also be sure to follow us on Instagram @appics.official to see what we're up to! Cool, when your product will be available? As soon as the SMT protocol has finished development in March 2019! What's the difference between Appics and Steepshot or Dtube? it was a pleasure to meet you guys! Great value you are bringing to the space. Thanks so much! It was really great to meet you last night and have a chat. Definitely looking forward to the next few days of SteemFest! It's really wonderful to see all of you guys working very hard and making the Appics a great success in future. We are just waiting for SMT explosion. I love the video! It looks like a celebrity party. It was great meeting you all in Kraków! It was an amazing week. The highlight was the meditation on 11/11. So powerful! Love you guys! It was such a treat to meet you all. Team Appics was the eye candy of the event with their stylish appearance. Awesome!! Love to see Appics represented at Steemfest! Will you be presenting?